Rework displaying block validation messages. Create a very long post. 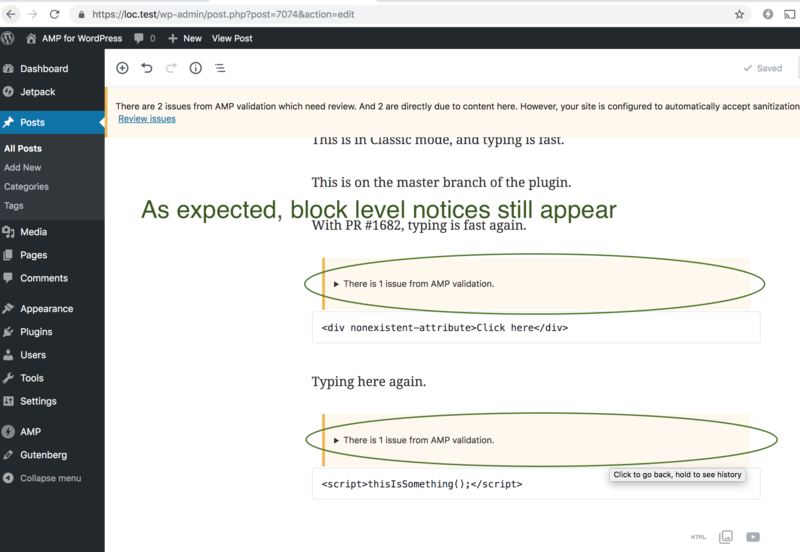 I used the Gutenberg demo post, and copied the content 4 times so it was 5 times longer. Even then, there wasn't a huge difference, but it was noticeable. Thanks a lot for fixing this issue. This PR works locally, as shown in the .gif above. Also, here's a test page on a staging site where the issue exists. Massive improvement to performance. Good work @miina!